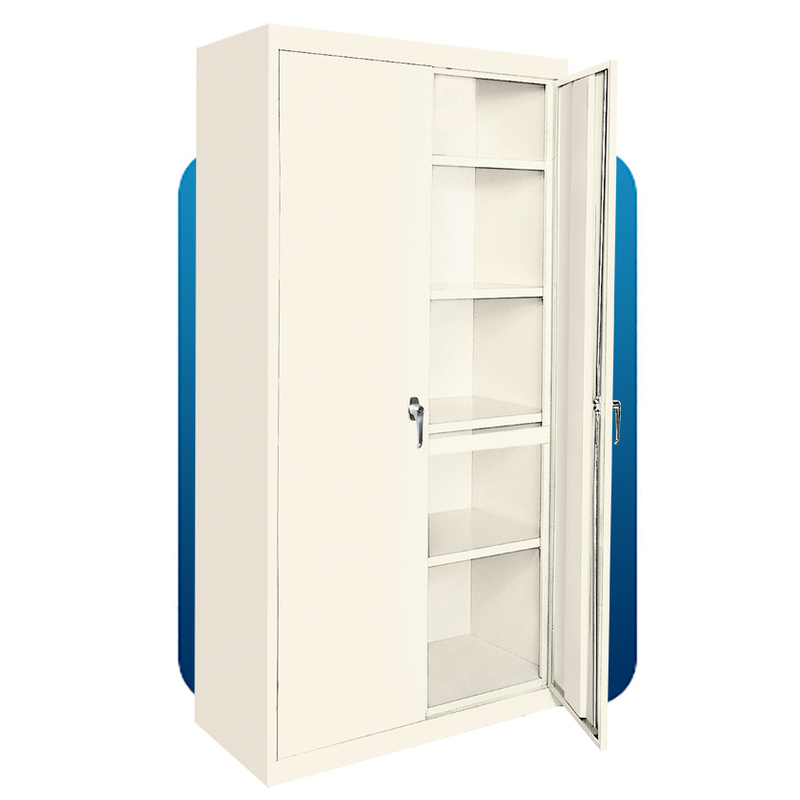 The design features of the Magnum Series combine in one cabinet the solid support of a reinforcement bar, together with the flexibility of four (4) adjustable shelves that can be relocated to handle a great variety of storage requirements, and can also be quickly changed. As a special feature, a hanger bar is welded to one of the shelves so that cabinet can be used as a wardrobe closet. Colors available in Putty,, Black and Gray. With larger dimensions and greater storage space, the Magnum is a very impressive and strong selling Magnum Cabinet. Two (2) die cast locking handles. Colors available in Putty, Black and Gray.